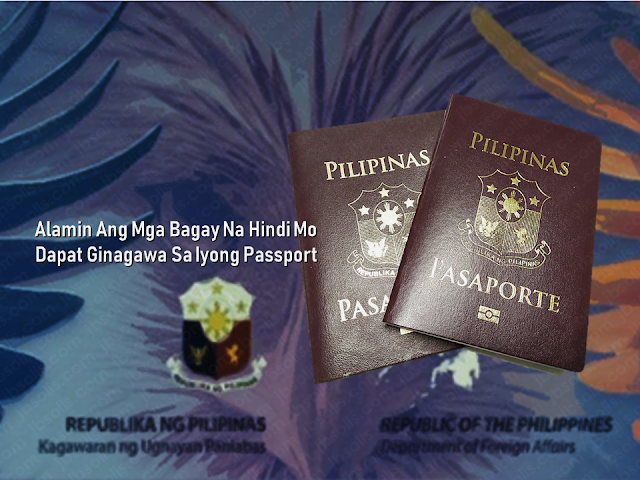 The overseas Filipino workers (OFW) are called modern day heroes because of the remittances they religiously send to their loved ones in the Philippines. 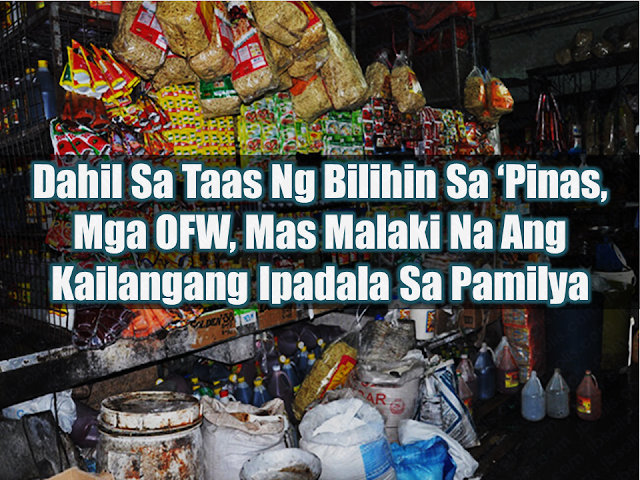 It is also a great help to keep the country's economy afloat in spite of the high inflation rate that is experienced across the nation. 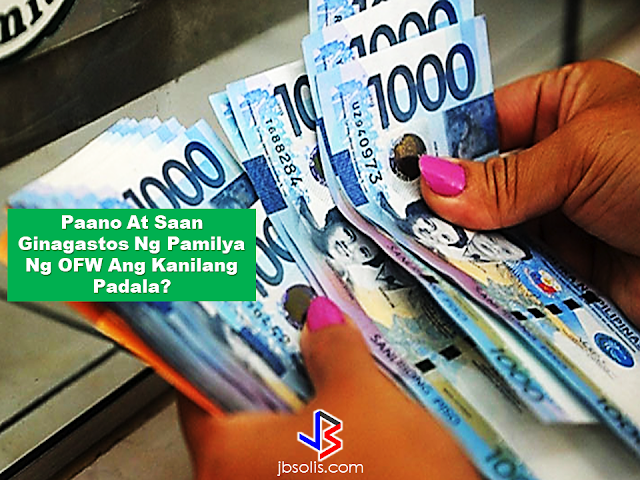 An OFW in UAE, never in her wildest dream that she thinks that she will be handsomely rewarded just by fulfilling her duties to provide the needs of her family through sending monthly remittances. “I was very surprised to be this year’s millionaire,” said Gina Soriano, the fifth winner of the raffle’s grand prize on Aug. 29. 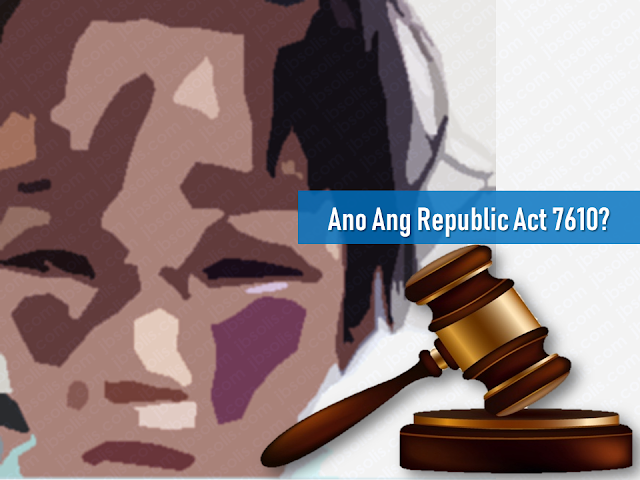 Soriano also said that her winning is a life-changing event that will surely help her improve the life of her family. 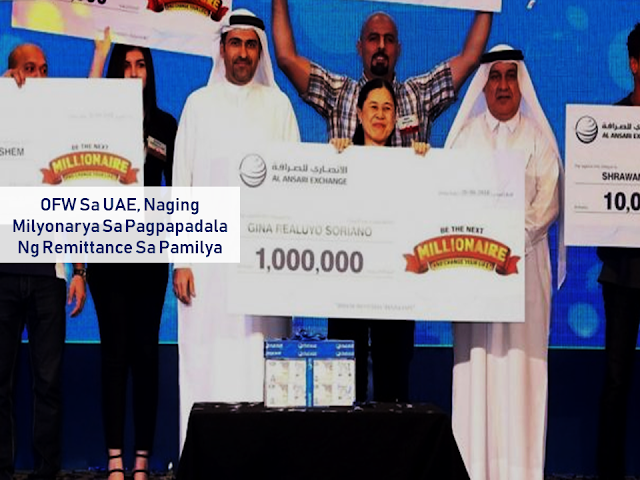 Soriano beat the odds after being the lucky pick out of five million raffle entries at a draw hosted by a big remittance and foreign exchange company based in the UAE, Al Ansari Exchange. A raffle coupon is given after sending money home. The raffle included prizes such as a brand new car and money. Out of the five million entries all over the UAE, nine coupons, including Soriano’s, were drawn on Aug. 14 for the pre-qualifying round. The final draw for the 1 million dirhams grand prize was made last Aug. 28. The draw was streamed live and Soriano was declared the winner. “We hope that the cash prize will make a positive difference in her life and her family’s life,” said Rashid Al Ansari, the general manager of the company. Two other Filipinos also won prizes from the raffle. 10,000 dirhams for OFW Honesto Dela Cruz while OFW Antonio Artisuela Cano bagged a brand new Mercedes Benz 2018 model. Last year, Al Dizon Bansil, an engineer working in the UAE for eleven years, won the 1 million dirhams prize from the same raffle.